In this make and take you will get to have fun creating your own decorative flower pens! 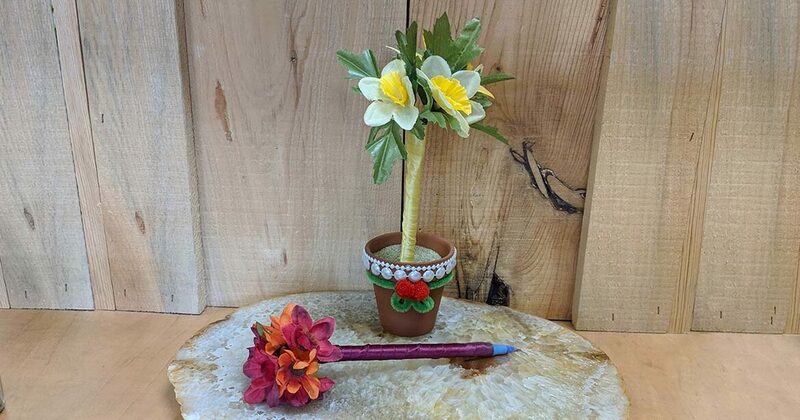 Our instructors will help show you how to create 2 flower pens along with decorating your own pot to keep them in! Sand will be provided to hold your pens in your pot . All supplies provided!